2) to secure higher respect from society to moral philosophy which is crucially important in persuading people to change their behavior. The suggested scientific approach to ethics is based on four criteria of science: 1) accurate terminology, 2) correct logic, 3) empirical verification, 4) accuracy of empirical measurement. We start with definition of good as the most important term and define it as “something that should exist by someone’s opinion”, i.e. this is a subjective judgment about the external world. This is an accurate definition which may be checked by logical analysis or empirical verification. Logical analysis means derivation of the attitude of this person to something on the basis of our knowledge about one’s nature (e.g. it is logical to assume that a normal person would decide that safety is good because a normal person wants to live and avoid any kind of suffering). Empirical verification means asking this person if he or she really agrees that this something is good. If this person agrees with our proposition then we can say that it was empirically verified, i.e. it is true. An important condition of the accuracy of empirical verification is that this person should have all available relevant information and keep control over emotions to render a really true judgment about goodness of something. Therefore the elementary propositions of ethical science are individual subjective value judgments about goodness of various things, i.e. meaningful propositions that essentially represents “facts” about individual “values”. The next question of scientific approach to ethics is about existence of universal moral norms which all people should obey (otherwise their behavior would be accounted as unethical). 5) universal moral norms should be chosen under veil of ignorance. All these propositions are meaningful and may be logically proved and empirically verified, i.e. 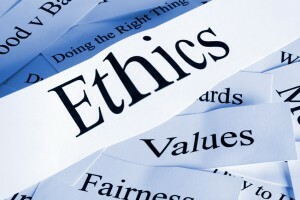 the method of generating ethical judgments is itself represent an object of scientific proof.